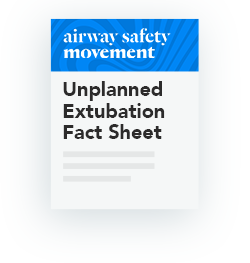 In healthcare, a significant threat to ventilated patient safety is Unplanned Extubation, which occurs when a patient pulls their breathing tube out of their airway (self-extubation) or an external force causes the breathing tube to be pulled out of the airway (accidental extubation). A 2012 review of the literature published in Anesthesia and Analgesia found that 7.3% of intubated, mechanically ventilated ICU patients, undergo the unintentional, self or accidental removal of their endotracheal tube. 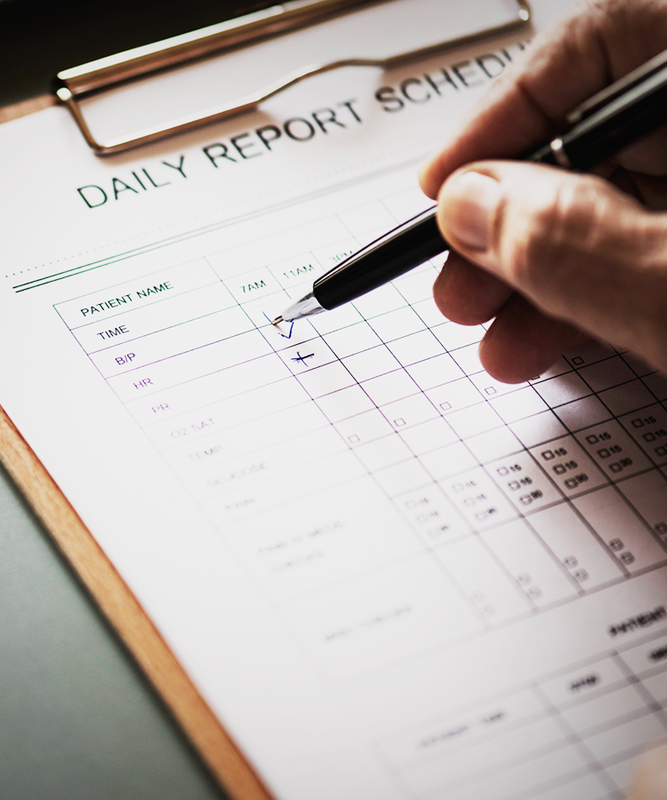 Unplanned extubation leads to an increased incidence of Pneumonia and increased the length of hospital stay, which leads to increased healthcare costs. Extubation may occur as a planned or unplanned event. Data is best collected through electronic capture of data fields from electronic patient care reports. This requires having an 'Electronic Health Record System' that includes the following Patient Safety Movement Foundation Core Data Set for Unplanned Extubation. 2. DeLassence A, et al. Impact of unplanned extubation and reintubation after weaning on nosocomial pneumonia risk in intensive care unit: a propective multicenter study. Anesthesiology. 2002; 97(1):148-56. 5. Fisher, D.F., et al., Comparison of commercial and noncommercial endotracheal tube securing devices. Respir. Care, 2014. 59(9): p. 1315-23. 6. Medicine, S.f.C.C. Critical Care Statistics. 2017; Available from: http://www.sccm.org/Communications/Pages/CriticalCareStats.aspx. 7. Moons, P., et al., Development of a risk assessment tool for deliberate self-extubation in intensive care patients. Intensive Care Med, 2004. 30(7): p. 1348-55. 8. Needham, D.M. and P.J. Pronovost, The importance of understanding the costs of critical care and mechanical ventilation. Crit Care Med, 2005. 33(6): p. 1434-5. 9. Wunsch, H., et al., ICU occupancy and mechanical ventilator use in the United States. Crit Care Med, 2013. 41(12): p. 2712-9. 1. Barr, J., et al., Clinical practice guidelines for the management of pain, agitation, and delirium in adult patients in the intensive care unit. Crit Care Med, 2013. 41(1): p. 263-306. 2. Barr, J., Liberating ICU Patients from Deep Sedation and Mechanical Ventilation-- an Overview of Best Practices, in ICU Liberation: The Power of Pain Control, Minimal Sedation, and Early Mobility, C.T. Balas M, Hargett K, Editor. 2015, Society for Critical Care Medicine. 3. Sneyers, B., et al., Predictors of clinicians' underuse of daily sedation interruption and sedation scales. J Crit Care, 2017. 38: p. 182-189. 4. Sneyers, B., et al., What stops us from following sedation recommendations in intensive care units? A multicentric qualitative study. J Crit Care, 2014. 29(2): p. 291-7. 5. Sneyers, B., et al., Current practices and barriers impairing physicians' and nurses' adherence to analgo-sedation recommendations in the intensive care unit--a national survey. Crit Care, 2014. 18(6): p. 655. 6. Tanios, M.A., et al., Perceived barriers to the use of sedation protocols and daily sedation interruption: A multidisciplinary survey. Journal of Critical Care. 24(1): p. 66-73. 8. Dale, C.R., et al., Improved Analgesia, Sedation, and Delirium Protocol Associated with Decreased Duration of Delirium and Mechanical Ventilation. Annals of the American Thoracic Society, 2014. 11(3): p. 367-374.